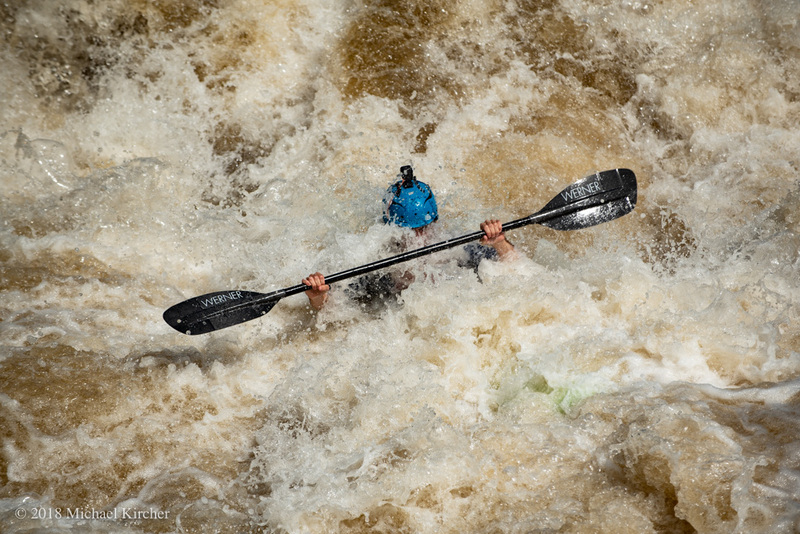 Kayaker at the Great Falls Race. The Potomac River was too high for the race in 2018. It was moved to the first channel between the C&O Canal and Olmsted Island. Here, a kayaker trains the day before the race.